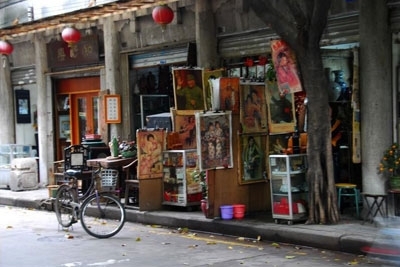 The streets both east and west of the Changshou Lu Metro station in Liwan District have plenty of unique shopping opportunities. To the west, at the edge of Liwanhu Park, are clusters of antique dealers and other shops collectively called the Xiguan Guwan Cheng (西关古玩城). Housed in examples of traditional Guangzhou Xiguan architecture, the array of area-specific goodies as well as antiques and antique-looking objects from all over China attracts both domestic and international collectors.